Being able to store your client’s information has never been easier. 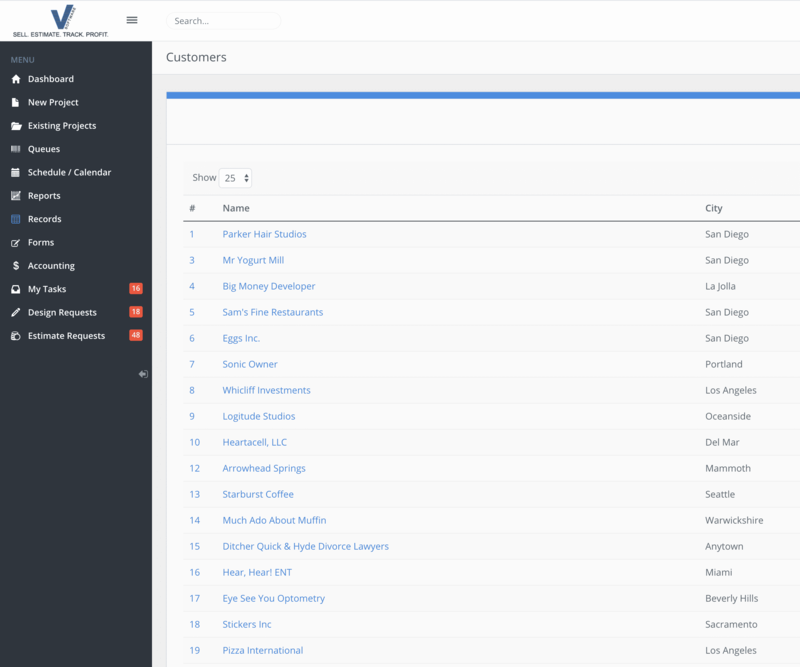 With the client list in V Sign Software you will be able to keep track of all of your clients, their contact information and their billing details. The beautiful part of this is, it is a one-time entry. After you enter your client’s information into the system all it takes is one click to auto populate them into a shop order, proposal, invoice, etc. Just one of so many ways V Sig Software will save you that which you never have enough of, time.